Pay equality is a hot button issue, and one by one, more state and city governments are beginning to discuss legislation on salary history bans in an attempt to address the issue. Currently, three states and four cities have enacted a ban, with more on their heels. Proponents of these bans claim that pay inequality - which begins when women and minorities are given lower starting salaries upon entering the workforce - is compounded when applicants are forced to disclose their salary history to prospective employers. In California, Assembly Bill 168, introduced in January by Assemblywoman Susan Talamantes Eggman, D-Stockton, recently passed through the State Senate's Labor and Industrial Relations Committee on a 4-to-1 vote. The bill "is part of an effort in California to address historic and structural impediments to gender equity," said Gina Roccanova, chair of law firm Meyers Nave's Labor and Employment Practice Group, based in Oakland. "That effort includes amendments to California's Equal Pay Act that went into effect in January 2016, which made it more difficult for employers to defend against claims of unequal pay based on gender. In January of this year, a further change went into effect that prohibits employers from using pay history as the sole justification for disparities in pay." 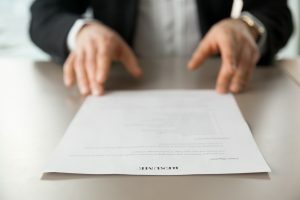 The California Chamber of Commerce (CalChamber) and a coalition of employers pointed out that the bill could hinder recruiting efforts and expose employers to costly litigation. They also noted that there are many legitimate, nondiscriminatory uses for salary data when making hiring decisions. New York City is another recent member to jump on the salary history ban bandwagon. 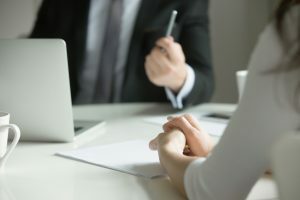 Not only does the new law in New York City restrict employers from asking their applicants about pay history, it also prohibits them from attempting to get the information from the applicant’s employer, or searching public records for an applicant's salary history. The law inhibits employers from relying on salary history when determining salary, benefits, or other compensation during the hiring process, including the negotiation of a contract - with the exception of an applicant voluntarily and without prompting disclosing their salary history. Taking measures to stop pay inequality - like ending the “pay gap” between men and women - can have positive economic consequences, as noted by the Institute for Women's Policy Research (IWPR). According to a recent analysis of federal data by IWPR, the United States economy would see an increase of $512.6 billion more if women received equal pay. Employers, on the other hand, have come out against the bans. In Philadelphia, for example, many business owners are challenging the salary history ban. According to the Chamber of Commerce for greater Philadelphia, the Ordinance violates employers’ First Amendment rights to ask about, and rely on, wage history, and is not supported by any tangible evidence that these practices perpetuate wage discrimination. The Ordinance applies to all businesses, large and small — including non-profits — that have a single employee or that conduct business in the area. They argue that a ban of this nature makes recruiting top talent more difficult and will put employers at a significant disadvantage compared to employers in jurisdictions without such a ban. According to Jennifer Barrera, senior policy advocate for CalChamber, employers don’t always have accurate wage information on the current market rates for all potential job positions. She added, "In fact, employers in competitive industries often do not advertise salaries, and such employers utilize their pay structure as a way to lure talented employees from their competition. By requesting salary information, employers can adjust any unrealistic expectations or salary ranges to match the current market rate for the advertised job position." With the heightened risk of Equal Pay Act claims under California state law and the restriction against using pay history as a justification for any pay disparities, California employers are already better off not seeking this information from applicants. With AB 168 passing, it just simply turns what is considered advisable for employers into a requirement.